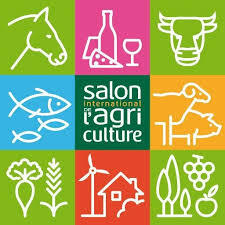 What is the “Salon de l’Agriculture”? For almost half a century, this agricultural fair in the heart of Paris has been held each year at the exhibition center of Porte-de-Versailles. It gathers thousands of farmers coming to let visitors discover their work. Almost 700,000 visitors are expected for more than 1,000 exhibitors. - Agricultural services and profession. People come to meet those who feed millions each year and to discover innovations.